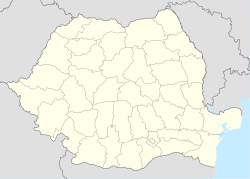 According to mother tongue, 47.62% speak Romanian as their first language, while 47.40% of the population speak Hungarian. This Satu Mare County location article is a stub. You can help Wikipedia by expanding it. This page was last edited on 15 August 2017, at 06:41 (UTC).